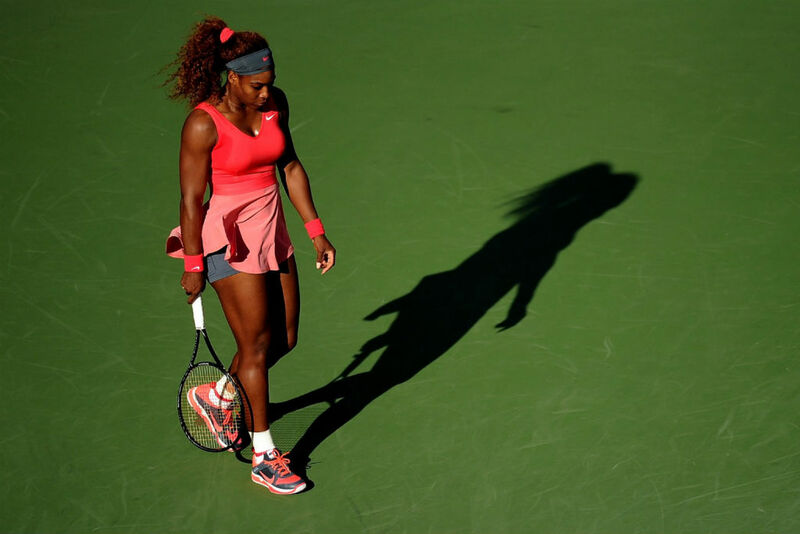 If her name wasn't already in the discussion, Serena Williams has now officially entered the debate for greatest female tennis player of all time. If her name wasn't already in the discussion, Serena Williams has now officially entered the debate for greatest female tennis player of all time. 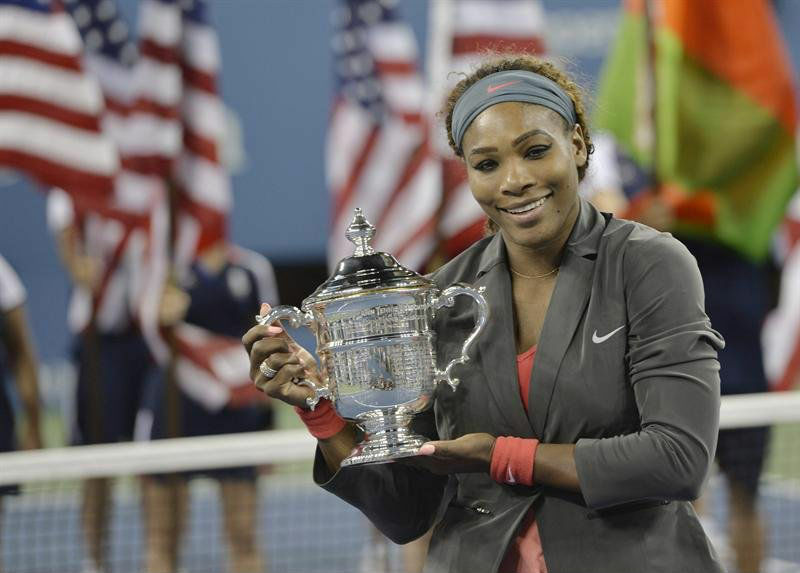 With a three set victory over second-seeded Victoria Azarenka in yesterday's US Open Final, Serena claimed her fifth title in the event, avenged two losses to Vika earlier this year and notched her 17th overall Grand Slam singles title. 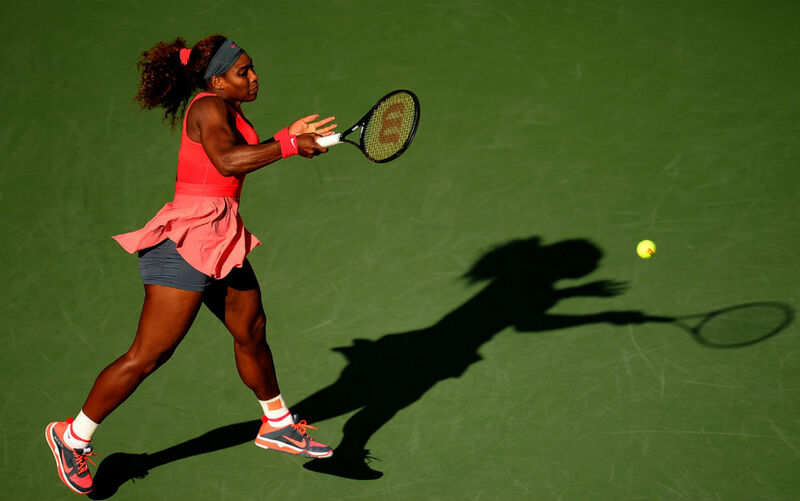 Serena now ranks fourth all-time in Open Era Grand Slam titles, trailing Chris Evert and Martina Navratilova by one and Steffi Graff by five. 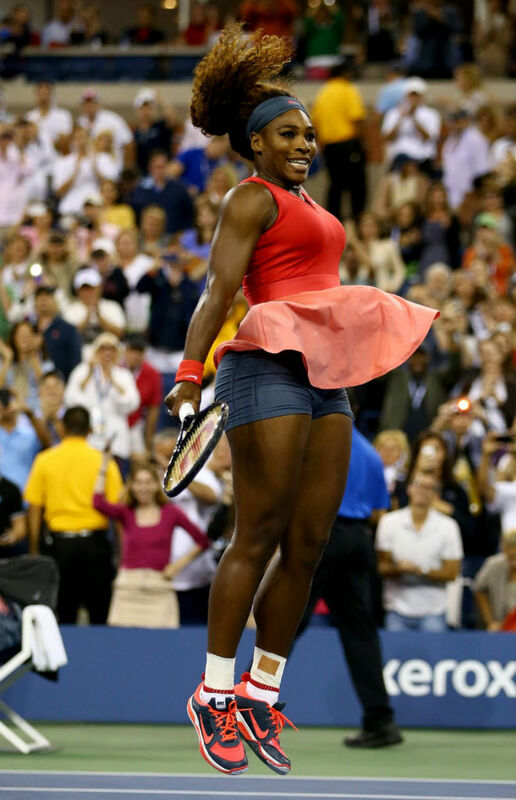 Arguably playing the best tennis of her career, Serena has a legitimate shot to surpass them all, health willing. 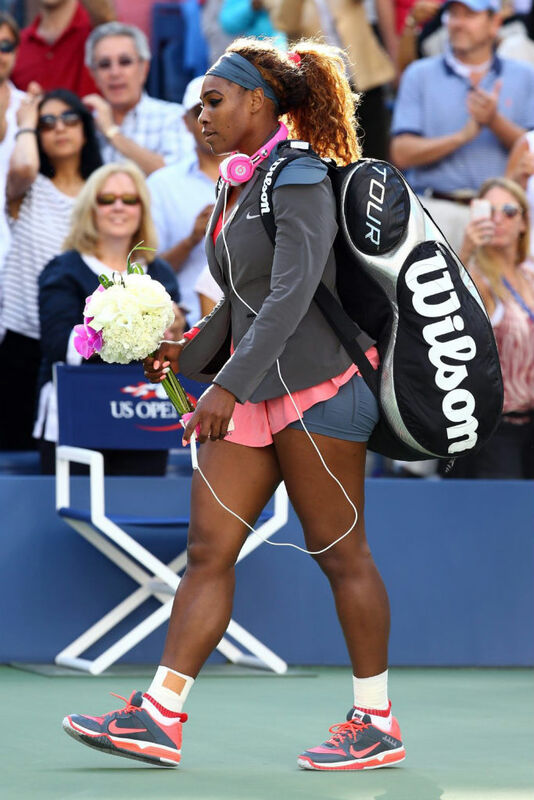 To win her fifth US Open, Serena played in a Lunarlon cushioned version of her go-to Nike Mirabella sneaker. 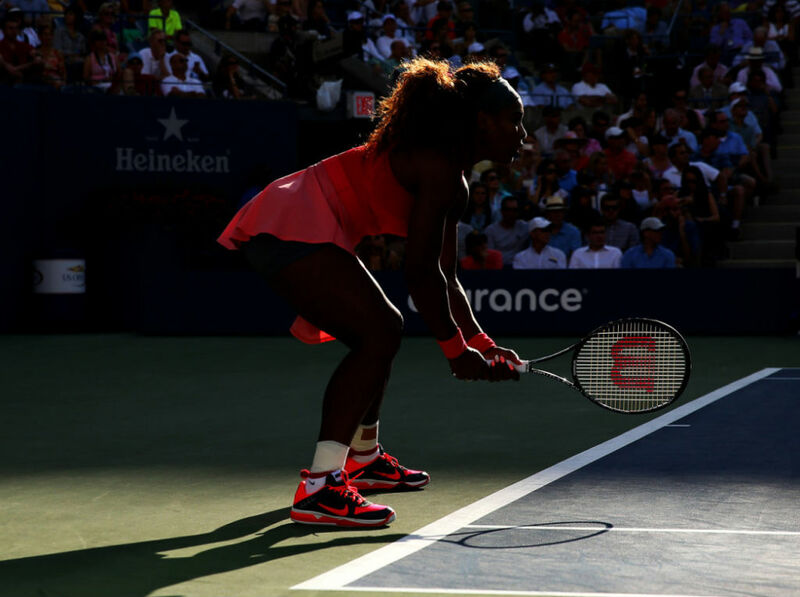 Like other Nike US Open shoes, Serena's PE featured a slate base with eye-catching Atomic Red accents and custom embroidery. Designers will have to add another emblem on the heel of next year's shoe to reflect her five titles. 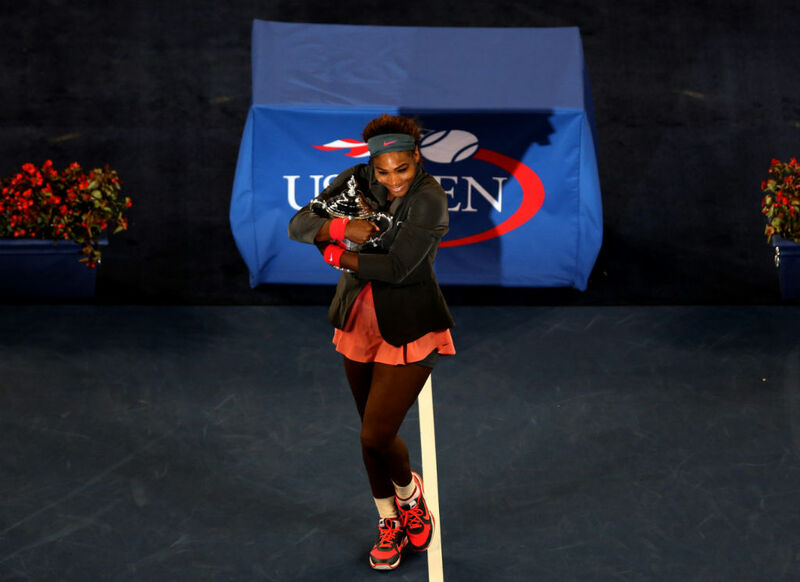 Do you think Serena will threaten Graff's modern day record of 22 Grand Slams?